Every Pre-Order will come with 1 Hard Cover Rule Book and 2 11x17 Art Prints. Stop by the shop, email, or call for details! Hardcover rulebook and the 11x17 prints of the box cover & the devastating War Sun weapon. Welcome to a galaxy of eternal conflict. 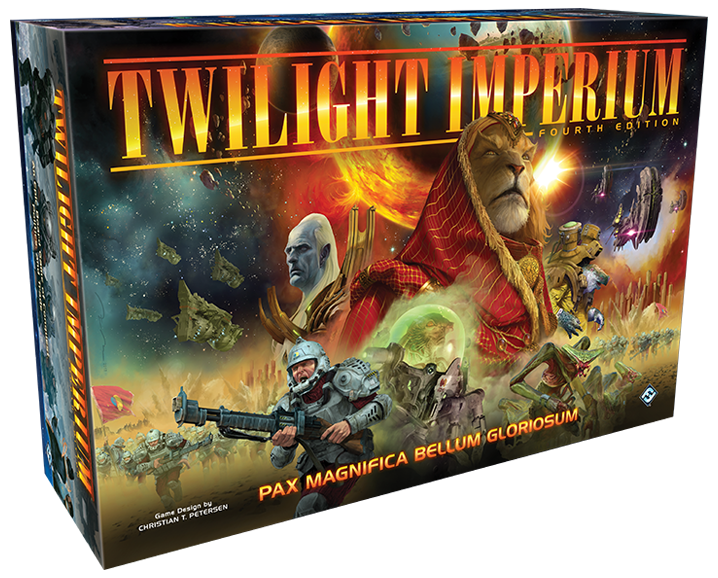 Twilight Imperium Fourth Edition is an epic board game of galactic conquest that challenges three to six players to compete for total control of the galaxy. Take control of one of seventeen factions and crush your foes through military, political, and economic means. Twilight Imperium Fourth Edition refines ideas found in previous editions, placing emphasis on player interaction and streamlined rules for a definitively immersive and engaging Twilight Imperium experience.